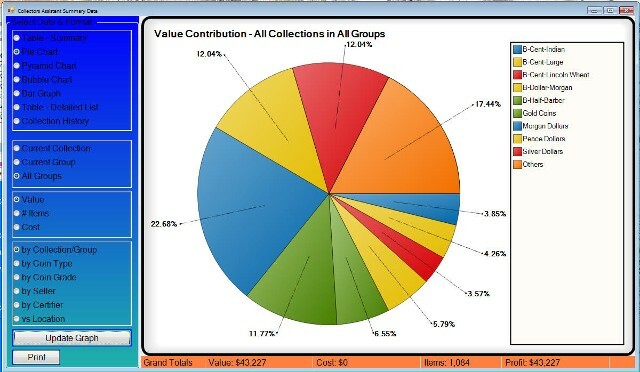 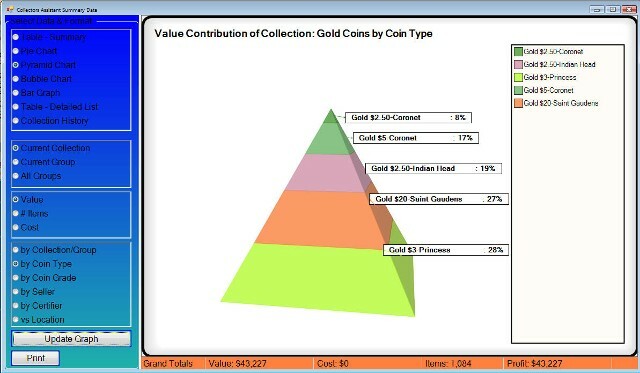 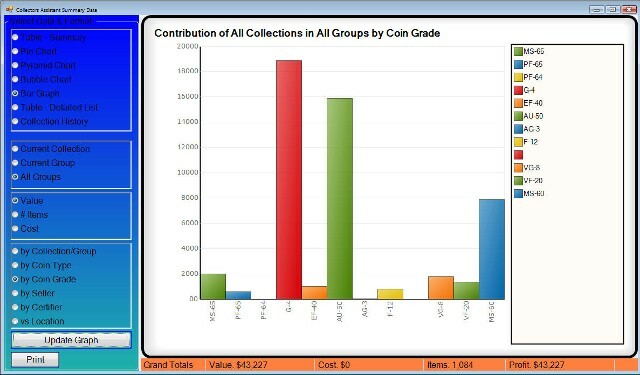 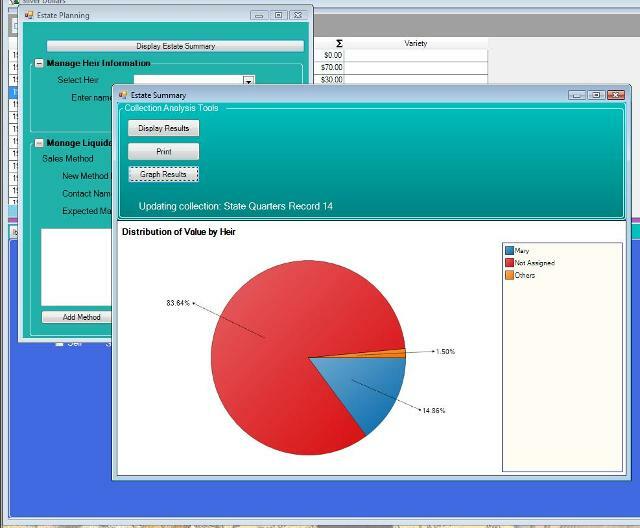 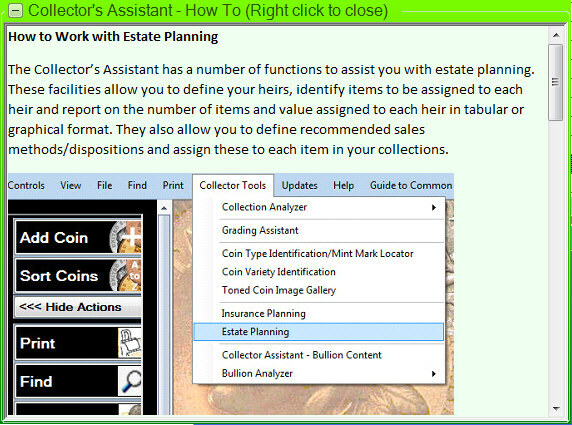 Collector's Assistant - Main Screen with a collection displayed and one of its items detailed information presented. 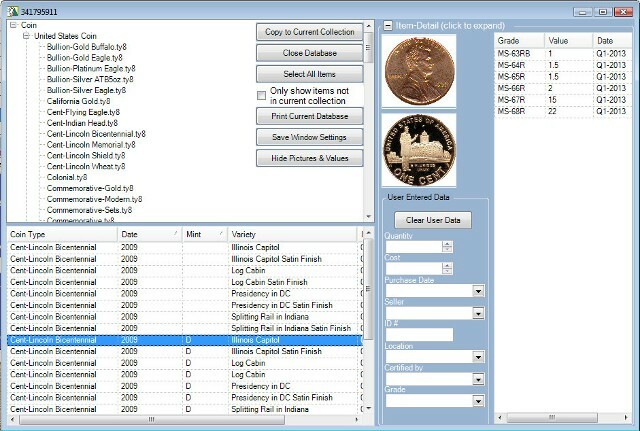 Collector's Assistant - Standard Database Selector - allows user to select items to include in ther collection, may be filtered against items already owned. 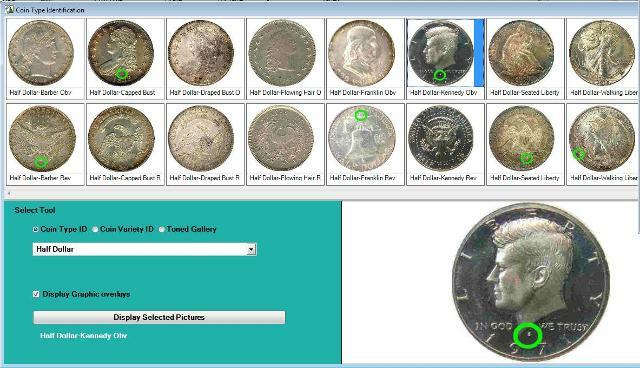 Displays pictures and values if available for the collectible. 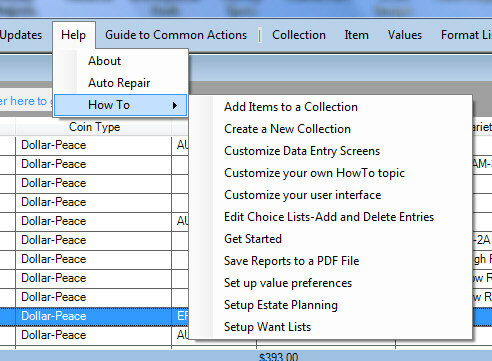 Note in V10 the right portion may be hidden to obscure less of your collection. 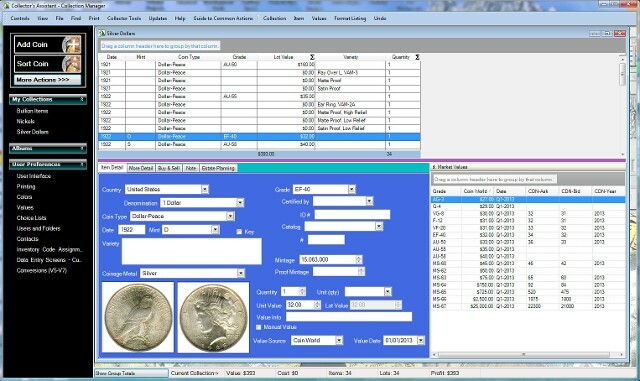 Coin Type Identification - Mint Mark Locator - assists users in identifying US Coin types and also locating their mint marks. 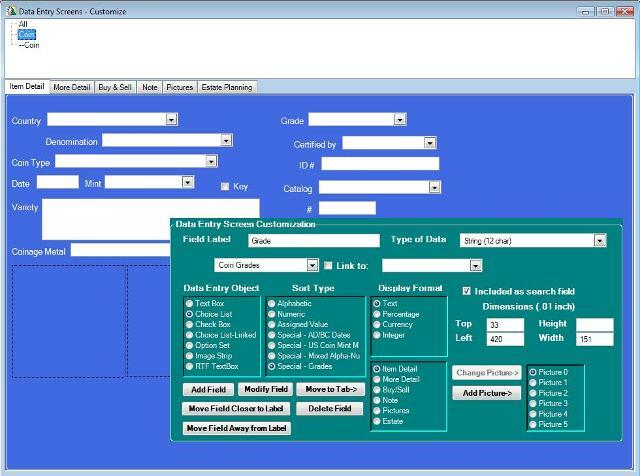 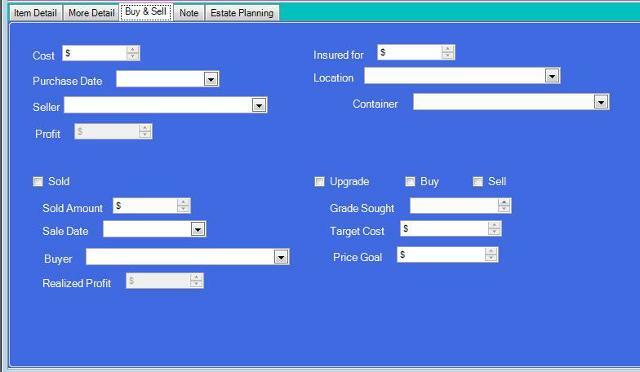 Data Entry Screen Customizer - allows user to redesign data entry screens, add new fields, relocated existing fields and pictures.